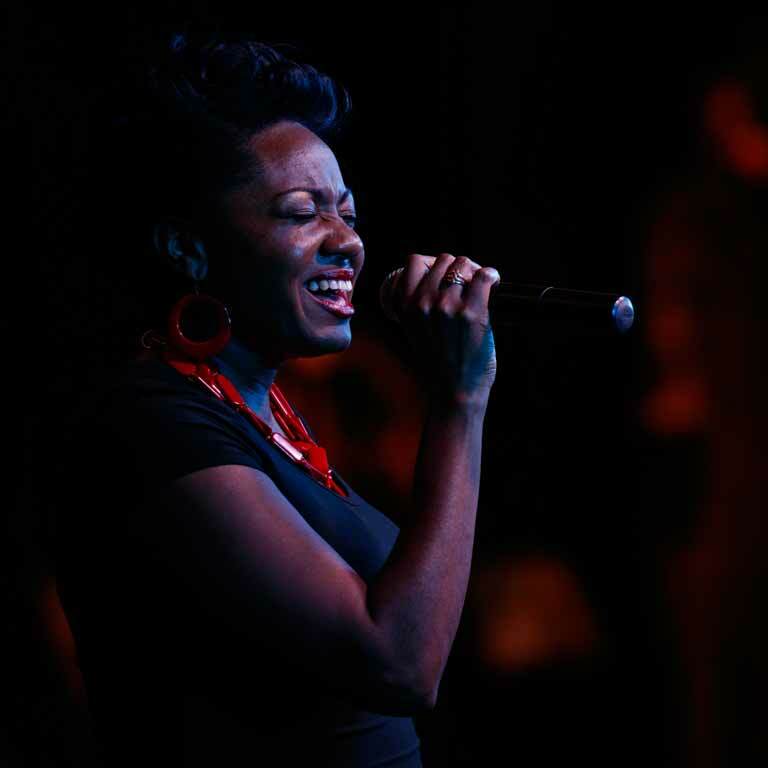 By all accounts the Party of the Century at IU South Bend lived up to its billing. 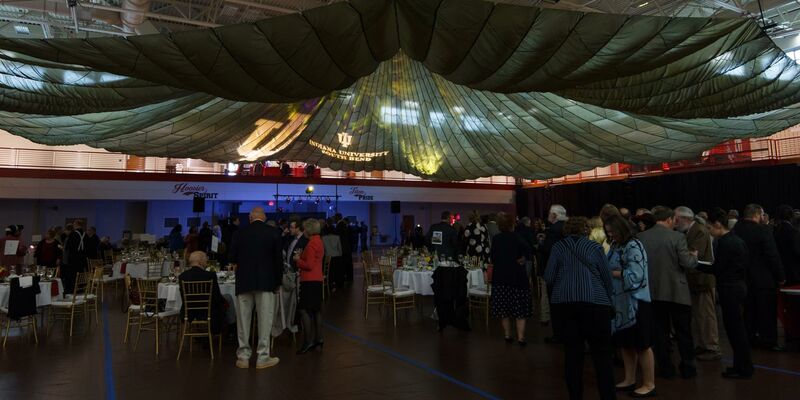 The venue was beautiful with a large parachute draped from the ceiling giving the Student Activities Center an elegant and artistic atmosphere. 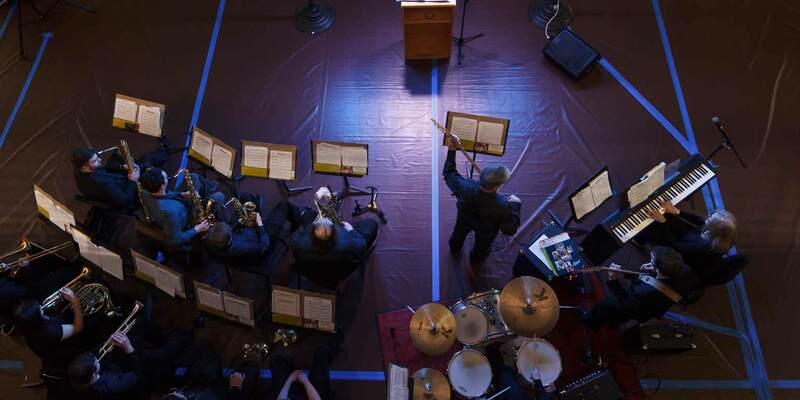 The large crowd was a mix of benefactors, community leaders, educators, former and current faculty members, and alumni, including representatives of the first three classes (’67, ’68, ’69). 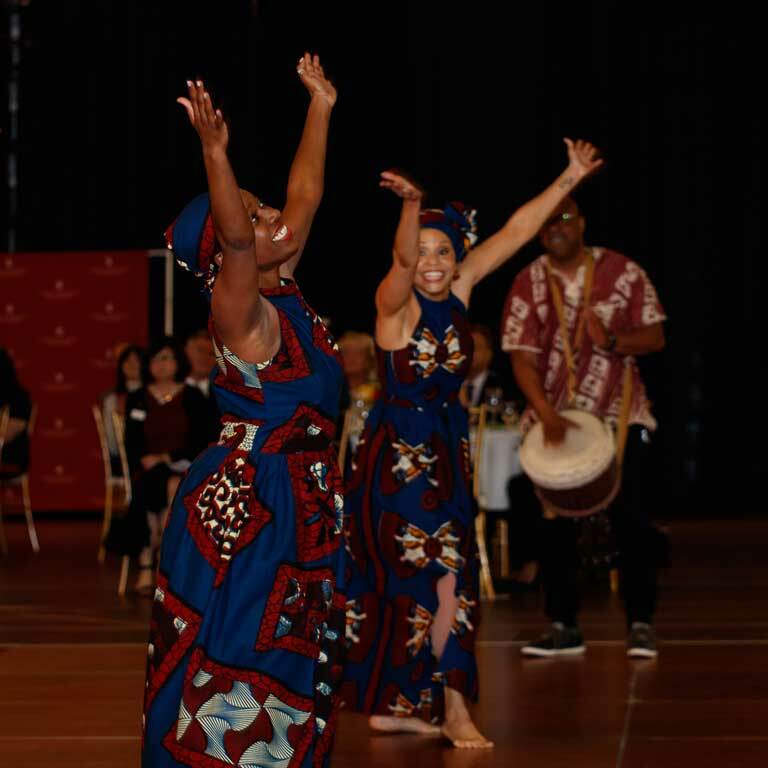 The food was excellent, the drinks were flowing, and the performances by students and graduates of the Ernestine M. Raclin School of the Arts kept the party hopping. 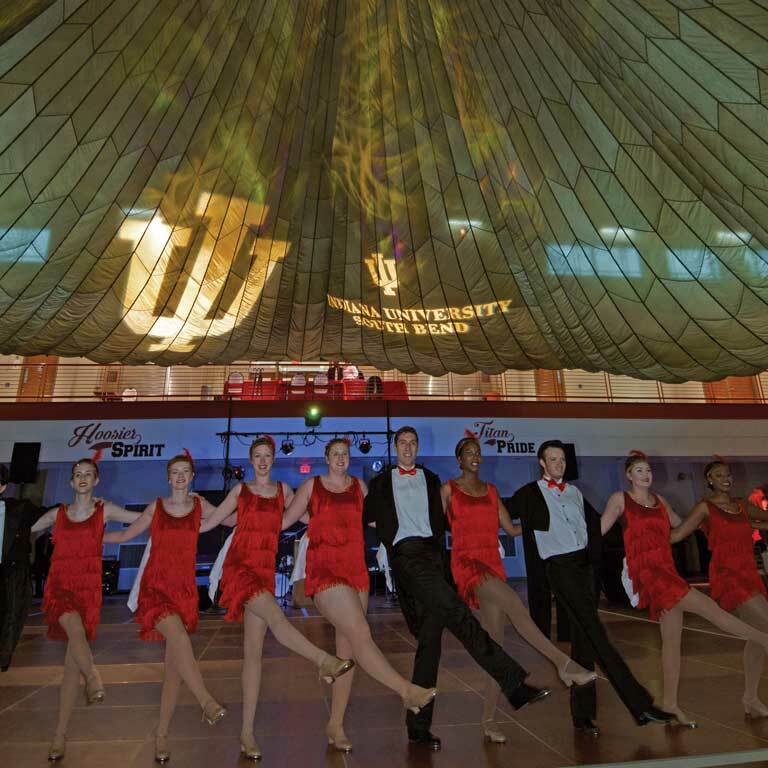 The Party of the Century was the centerpiece of the Jubilee Year Celebration at IU South Bend. 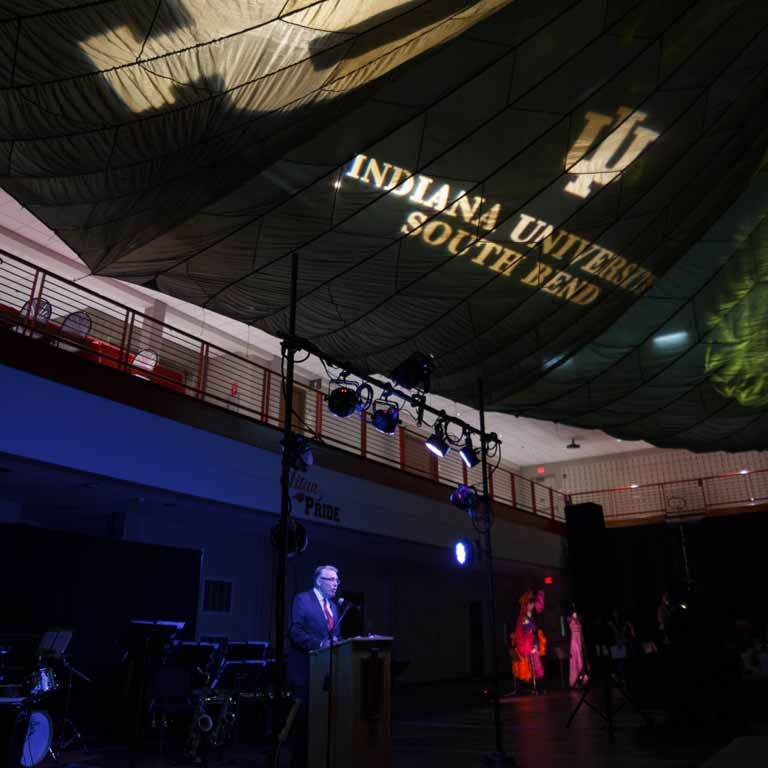 Chancellor Allison declared 2017 a Jubilee Year to recognize the convergence of three important anniversaries – 100 years of IU offering classes in South Bend, 50 years of IU South Bend awarding degrees, and 25 years of a unified School of the Arts, now known as the Ernestine M. Raclin School of the Arts. He appointed the Jubilee Year Celebration Task Force, which came up with the idea for the Party of the Century to thank people who have supported the campus over the years with their generosity and service. Chancellor Allison was the host and set the stage for an evening of fun. Executive Vice President for University Academic Affairs John Applegate gave greetings from Indiana University and talked about the connection to IU’s Bicentennial in 2020. IU Bicentennial Celebration Director Kelly Kish then gave the audience an informative and entertaining trip down memory lane. As an historian, she was able to talk about the significant people and events that occurred from 1916 to today.